4th to 7th Std. 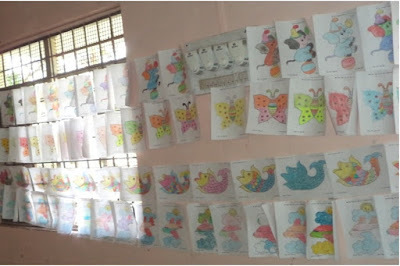 - Drawing and Painting Pictures. 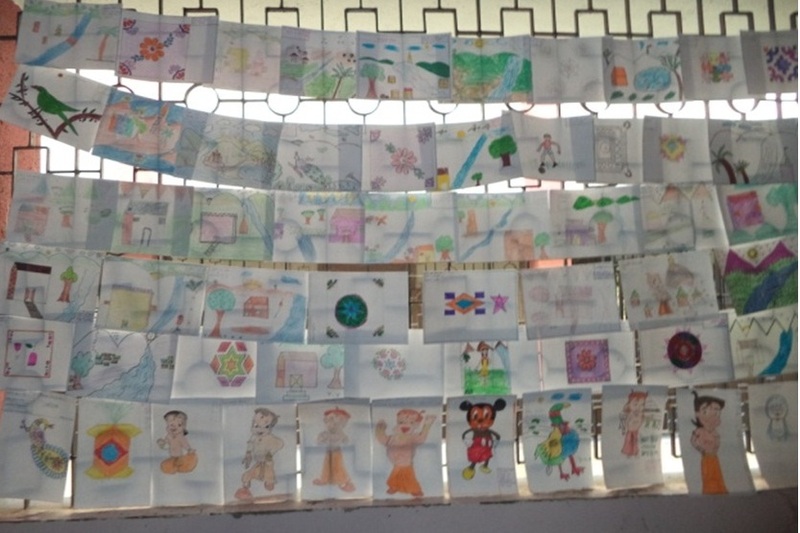 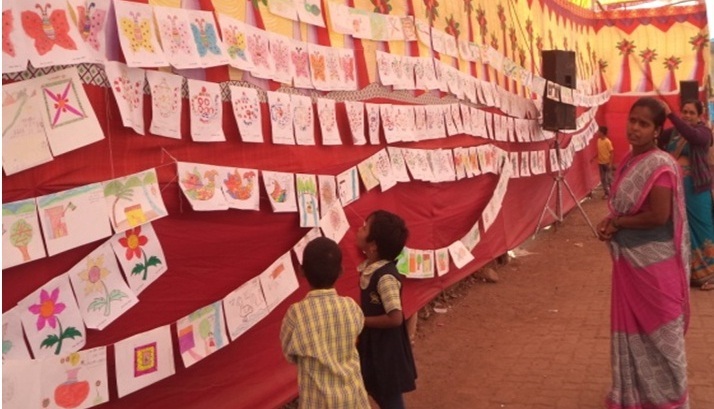 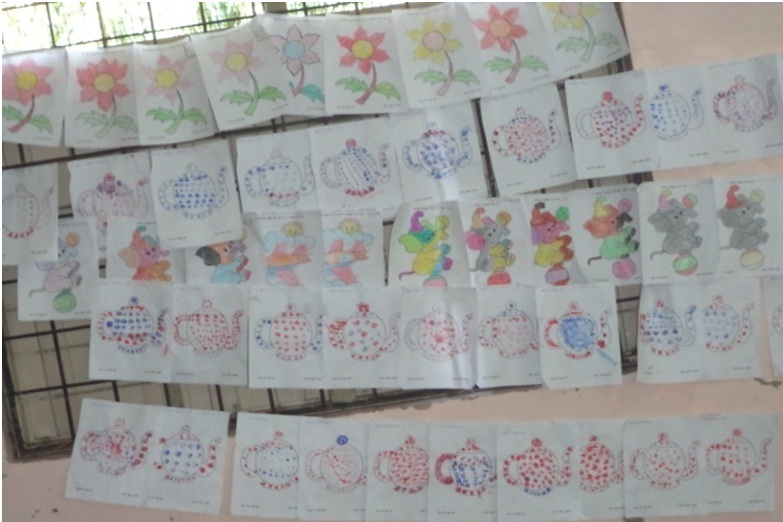 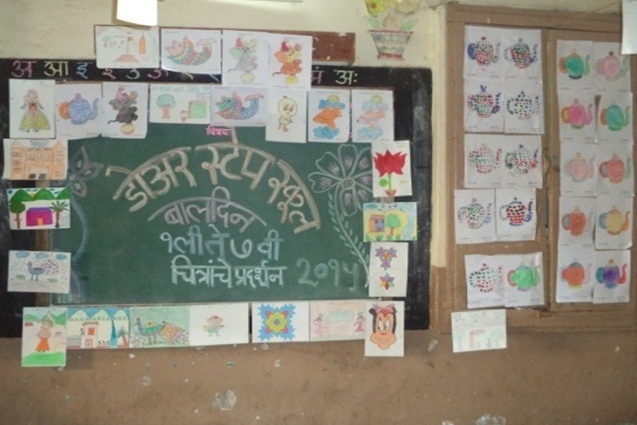 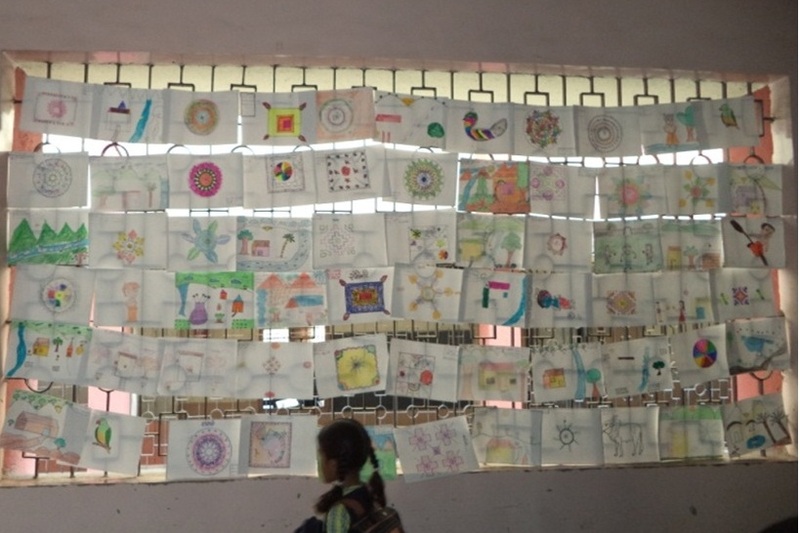 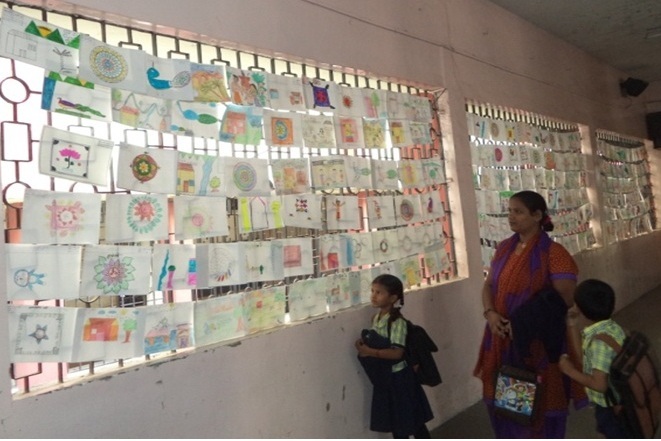 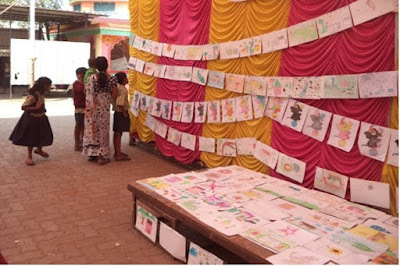 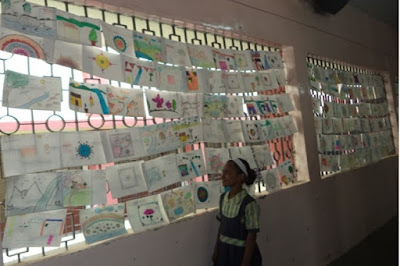 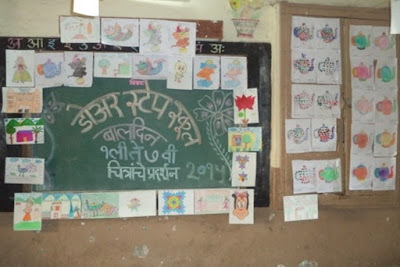 An exhibition of pictures drawn and painted by children was organised in the schools on 19th of December 2015. 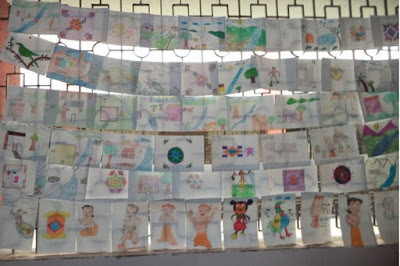 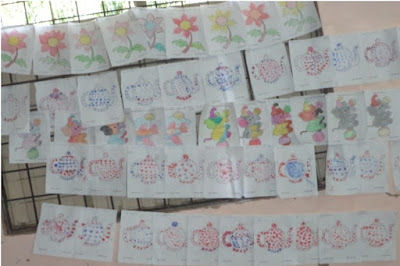 Walls of hall, passage, classrooms, and even playground of the school were flooded with creativity of the children. 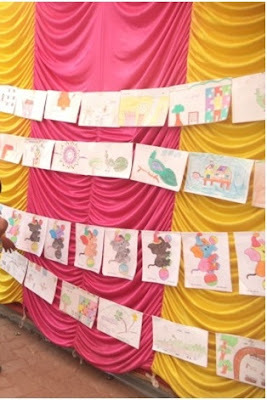 The pictures covered subjects from colourful flowers, birds, and animals, to beautiful nature, trees, rainbows, and humans, including favourite cartoon characters of children like Chhota Bheem and Mickey Mouse! Teachers and parents along with children visited and enjoyed this exhibition.